Aero Straight products are available in the United States, Australia and New Zealand through the following retailers. If your selected retailer does not have the item you want in stock, have your retailer contact us. We will immediately stop everyting and assemble your order and ship it to your retailer ASAP. Yes, Really! Aero Straight directly for assistance. We freight internationally using USPS First Class to the United Kingdom, Europe, Japan and Canada with delivery in approximately 14 days. If you receive the wrong item, please contact your retailer for an exchange. The item for exchange must be returned unused, undamaged and in the original packaging. 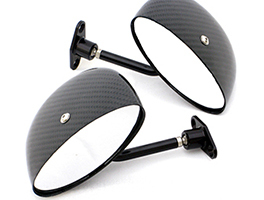 If your set of mirrors is showing wear and battle scars from several racing seasons, we can rebuild or repair at a nominal fee plus parts and postage. Give us a call or email before sending. 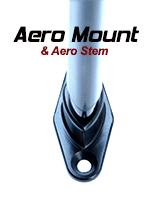 There is no warranty of any type, whether expressed or implied, on any parts or services sold by Aero Straight. If you are not satisfied with an Aero Straight product you have purchased, please contact us.